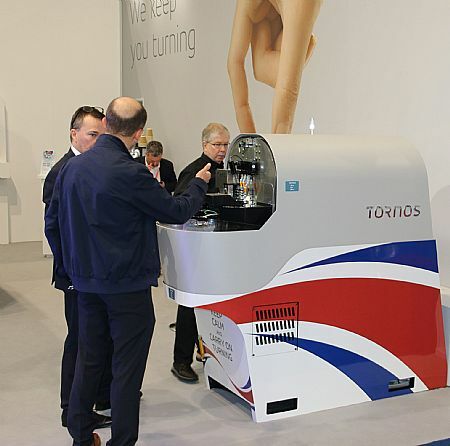 MACH 2018 got off to a flier for Tornos with two verbal orders for the Swiss GT26 from day one being signed and confirmed on day two. This was rapidly followed by an order for a CT20 with a number of additional enquiries turning into firm orders in the two weeks after the show. 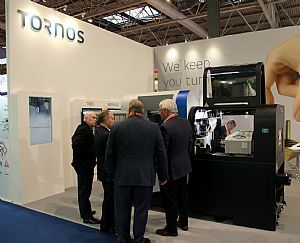 With the SwissNano micro turning solution and the robust GT32 on the stand, the diversity of turning solutions certainly appealed to show visitors. This was indicative of the orders received with the heavy duty GT26 being chosen by a medical specialist for its ergonomic and modular configuration on a robust platform. The GT range also allows B-axis machining and the option of simultaneous 5-axis machining. Whereas the smaller second generation CT20 turning centre was selected for its ability to work with or without a guide-bush whilst offering more tools in counter spindle operations and the ability to run with the choice of mineral or soluble oil. Selected by a medical and scientific subcontractor, the CT20 has undoubtedly been a machine of interest since its launch. 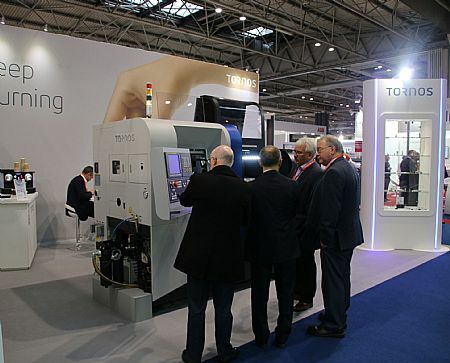 The SwissNano machine on the stand is unlike any other machine in the marketplace and its ability to offer precision machining of turned parts below 4mm really impressed a number of show visitors attending MACH to seek out a solution. The GT32 on the stand continually had a crowd of interest throughout the week. This is credit to its flexibility that is provided through the facility for up to 40 tools with 14 rotating tools, two Y-axis and two C-axes. This flexibility and capability on a robust platform offers greatly increased machining capability in secondary operation and allows some complex workpieces to be produced without reworking. For manufacturers that didn’t get the opportunity to attend MACH, please contact Tornos to witness the ‘world of innovation’ that is at your fingertips.